You are here: Home / Uncategorized / Hmmm? Brain blocked! Trying to figure out what I want to say, er write about and yet I’m dumbfounded, I am working on a post about fish size and the catch and release ethic and also still reworking my steelhead story, yet I don’t have anything to put out there at this exact moment. I will tell you that I am contemplating two epic fishing trips this weekend. On one hand the call of the Salmon River in Central Idaho for steelhead is STRONG! 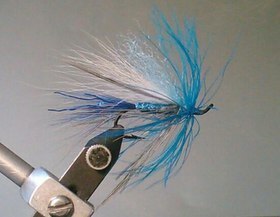 I love swinging flies for chrome! LOVE, LOVE, LOVE it! 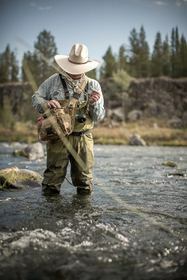 But then again chuckin streamers for lake run browns in Yellowstone on the Gibbon river can be epic! Big hungry post spawn fish trying to get their eat on, before winter swoops down and puts the clamp on their feeding habits, is a can’t miss situation. So that’s the conundrum, a chance at touching the king of game fish or preying on the instincts of a blood thirsty post spawn behemoth,,, HMMMM?